The BBC's Radio 4 online presence offers viewers and listeners another way to engage with BBC content and in the run up the Presidential Elections in the USA we were asked to make a film that explains the symbolic power of their national flag. In the film we ponder Why do Americans love their flag so much? 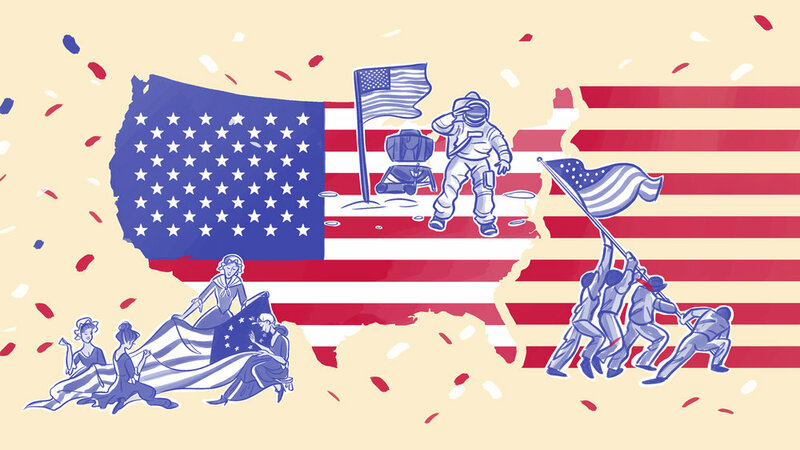 Whatever other American icons come and go, one thing remains to rally the people – the Stars and Stripes. Dr Adam Smith, senior lecturer in history at UCL takes a look at the origin and life of the star-spangled banner. Its story explains why it holds such an important place in the hearts of the people who live in 'the land of the free' and 'the home of the brave'.